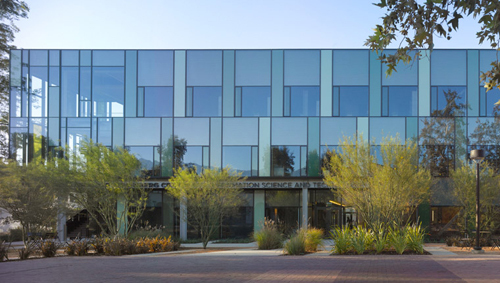 The Annenberg building on campus is the home of the Computing and Mathematical Sciences department at Caltech. 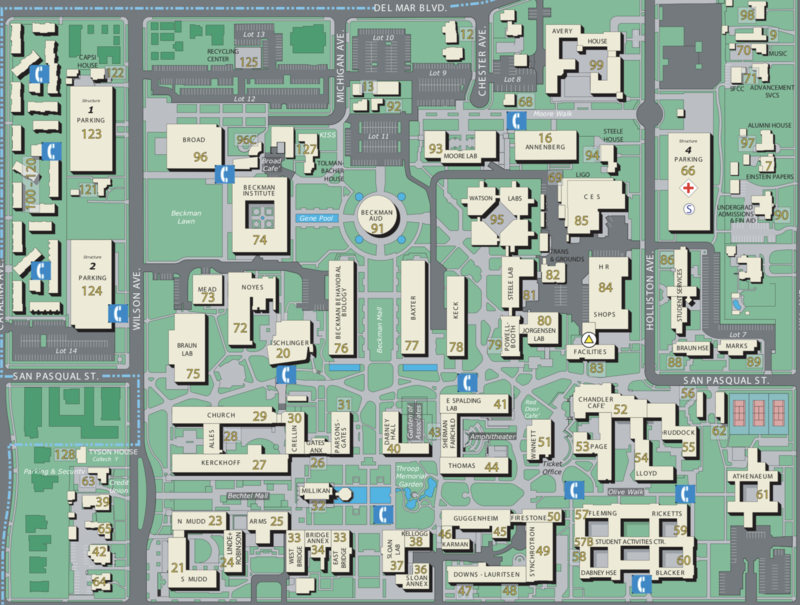 The CMS directions page is an excellent resource for detailed information about how to reach the venue, with the minor proviso that, as of December 2018, the information in Open Street Map is slightly more up-to-date than Google Maps with respect to recent campus construction around the Annenberg building. 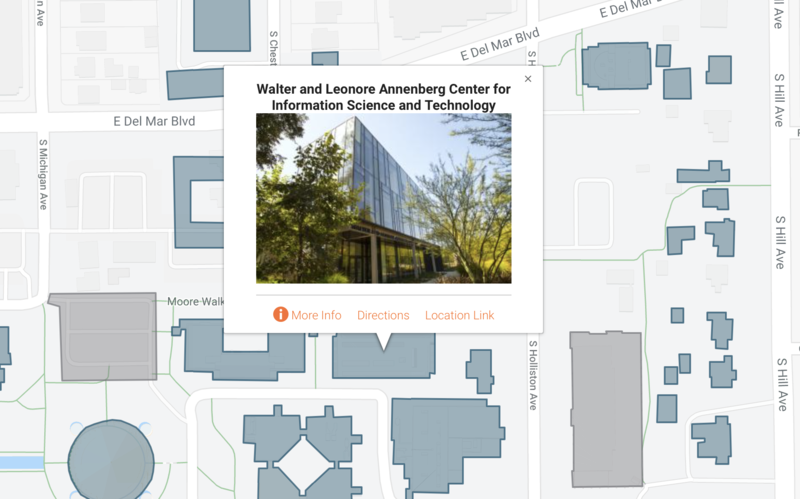 The following is a link to the Caltech campus interactive map. 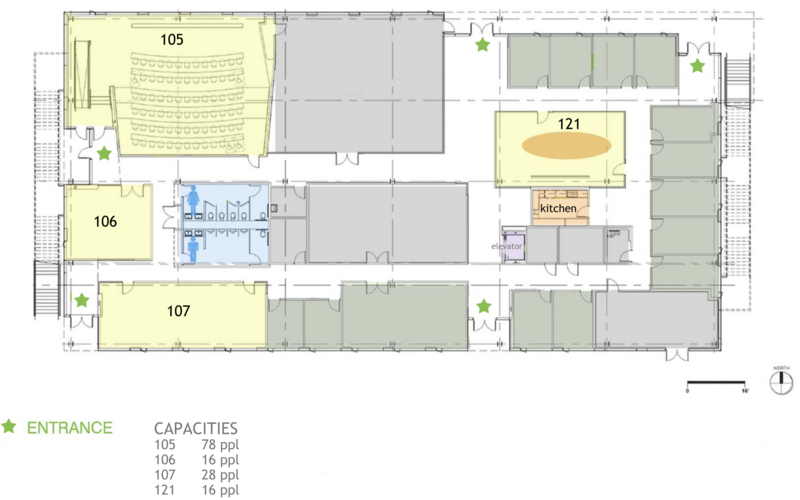 The Annenberg building is #16. 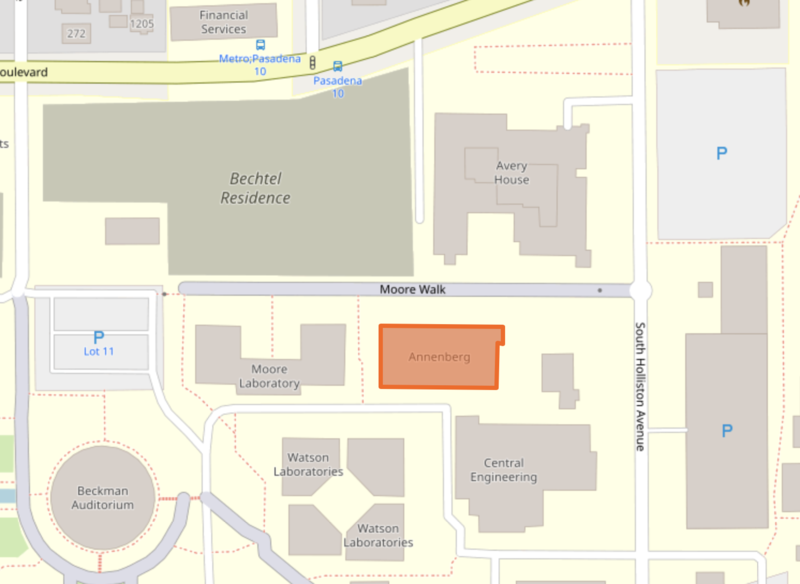 Visitor parking at Caltech requires a permit during business hours (Mon-Fri, 8am-5pm). The price is normally $6 per day, but the local organizers can provide attendees with parking permits. Please contact the organizers to make arrangements. Parking on Saturday and Sunday does not require a permit, but visitors must still park in unmarked ("commuter") stalls only. 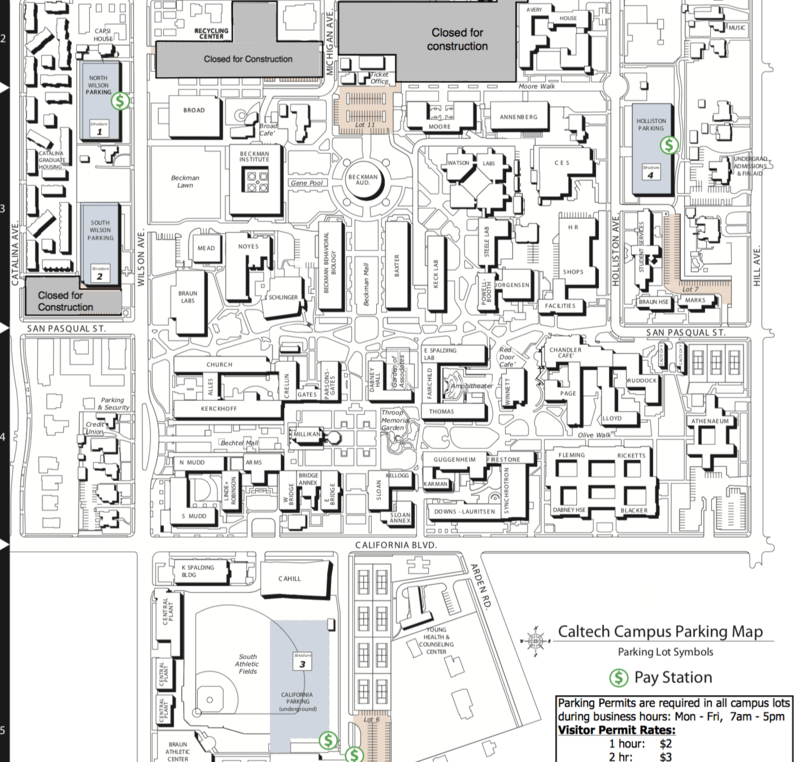 A PDF map of parking locations is available by clicking on the link below. The closest lot is the Holliston parking structure. Much of the campus has paved walkways and has ramps for access by wheeled devices. 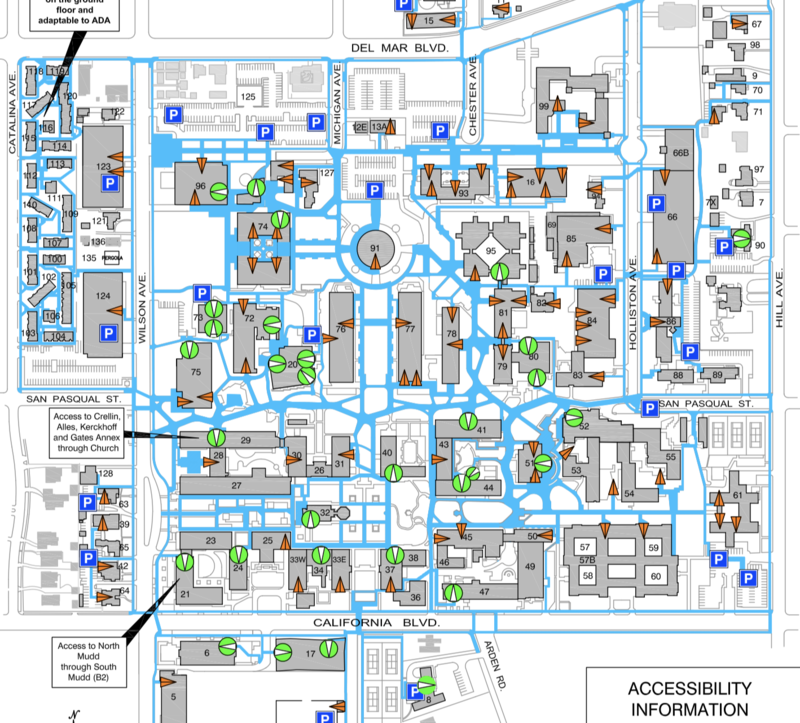 The following map provides more detailed information about the campus and individual buildings. Note: unfortunately, and disappointingly, the Annenberg building lacks automatic doors, so even though the building has ramps for accessibility, the doors can only be opened manually once you get to a door. If you need assistance figuring out how to deal with access or related issues, let one of the organizers know ahead of time and we'll try to figure out what to do. One of the best forecast sources is Weather Underground; we recommend you check the weather before you set out to get a sense of the likely temperature range and the possibility of light rain. (Worth noting: you can change the units of temperature to Celsius if you prefer – click on the "gear" icon in the upper right of the web page.) The city of Pasadena is fortunate to enjoy mostly mild weather year-round. March is typically a very pleasant time of year, although this year, it has been more variable than usual and we have had more rain than usual.